In many instances of bottom-up urbanism, architects and planners tend to conclude that squatters and slum dwellers are not competent to use the resources and materials at their disposal. These experts see their expertise as helping the urban poor by providing architectural or design solutions. 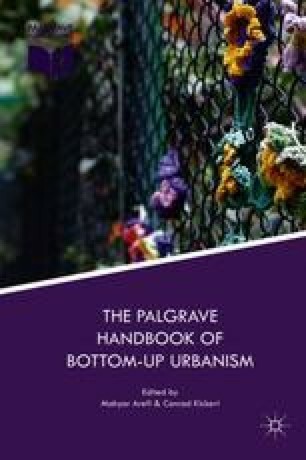 By calling into question the promise of urban informality, this chapter proposes to revisit the directionality of up and down in thinking about housing and poverty, through the language of what we term ‘bottom-down’ urbanism.